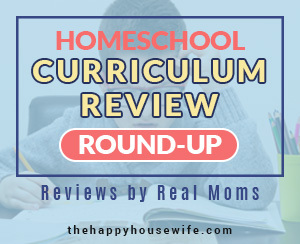 I’m not a fan of sitting kids in front of a video regularly, but there are some awesome educational YouTube channels that can supplement your homeschool lessons or reinforce lessons learned at school. I learned recently that our children’s generation consume video more than any other form of media. So why not have them learn something while they are watching? These educational youtube channels are a favorite in my house. While we still limit screen time, I’m always happy when my kids ask to watch some of the educational channels listed below. If you haven’t subscribed to Khan Academy, do it right this minute! If your child is struggling in math or science particularly, Khan Academy has hundreds of videos and tutorials that explain almost everything. In fact, my kids in public school use Khan daily for their assignments. When we were homeschooling I would often refer to Khan with my kids in higher level math. Khan is an amazing resource for all things math and science. They also have videos explaining personal finance, economics, history, civics, and SAT prep. Khan Academy is an amazing free educational resource for older children and I highly recommend it. Socratica makes high quality education videos for kids and adults. They have a great series on the 50 states (although it looks like they’ve only released about half of them at this point) which would go great with the United States notebook project. They also have videos covering math, science, language, and the arts. Most of Socratica’s math and science videos are geared towards middle and high school, while their 50 states and grammar videos could be used for elementary lessons. They haven’t released many new videos lately, but their older material is excellent. It’s hard to beat the video quality of National Geographic Wild on YouYube. The video quality is excellent. A while back they even lived streamed an African safari. Since my kids will probably not go on a safari any time soon, these videos are a great resource. These are not specifically for kids, but my children have always enjoyed these videos and remember an amazing amount of details. National Geographic also has a kid’s channel now with videos from “how things work” to “try this’ experiments. One nice thing about this channel is that they correlate to public standards and those standards are reference below each video. It seems like there are thousands of videos for kids who need to work on learning their letters and sounds. I like Elf Kids because their videos are more advanced. The videos cover vocabulary, verbs, emotions, etc. They also have videos for younger kids, but they are one of the few channels I’ve found that have good videos for kids in first or second grade who need review. The Learning Station is Cora’s favorite YouYube channel. Their days of the week video has over twenty-one million views and I’m sure many of them have come from her! 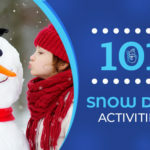 This channel includes tons of videos that encourage your kids to move around and participate while watching. They have tons of the classic preschool/ kindergarten songs as well as videos about the days of the week, alphabet, months of the year, etc. Busy Beavers is geared towards toddlers and preschoolers. Their videos include catchy songs about letters, shapes, numbers, and colors. Busy Beavers is a fun way to reinforce lessons already taught at preschool or home. Kids TV123 is another channel for preschool kids. The videos are simple, but they teach things like phonics, so they are great for review and reinforcing concepts. Videos include phonics, specific letters, holidays, colors, counting, time, basic science and more. The Cool School is a fun channel which has an entire section for kid’s crafts. 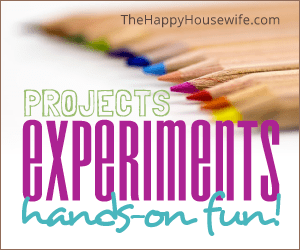 My kids love to make crafts and we’re always looking for new ideas. Most of the crafts use items you probably already have in the house or can be found at your local craft store. The videos on Make me Genius are good (not amazing) but they do have a corresponding website which is why they made the list. You can download quizzes, tests, and questions that go with many of the videos. The website also has pages of fun facts. This channel is geared toward elementary children. One strange thing about this channel is it seems like the voices of the kids on the animation are actually adults trying to sound like kids. Younger children probably won’t notice, but I find it a little annoying. I love that there are so many free resources on the web, although it is sometimes hard to weed through the garbage to find quality resources. 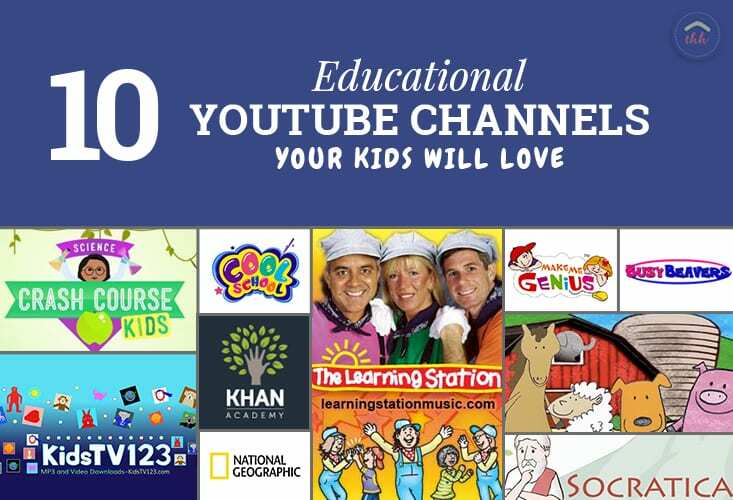 Bookmark these ten channels to help supplement your child’s education. Two of our absolute favorite educational videos that are not on YouTube are Liberty’s Kids which is available to stream free on Amazon Prime. We also enjoyed the Moody Science Videos (available on Amazon- however not free). You must look at Smarter Every Day! It should be on this list!! I’ve got a new youtube channel that teaches art, music, literature, and natural science at an elementary-aged level. 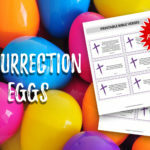 I’d love for you to check it out! Please correct the spelling for Khan Academy. As a family that uses it, I’m surprised your first recommendation is this site but you misspelled it every time. It is a terrific program for math, science and SAT prep. Thank you for pointing that out. It’s been corrected. Thank you so much for mentioning our channel, Socratica! We do have more 50 States videos in the works – we’re so glad you like them! SocraticaStudios is our main channel (you’re right, mainly for high-school to college level). We also have a kids channel called SocraticaKids for the younger learners. We’d love to hear what other kinds of videos you would find helpful, since we’re making new videos all the time. Again, thank you so much, you made our day! Kidslearningtube is an amazing YouTube channel for pk to higher elementary. My kids have learned so much from this channel.